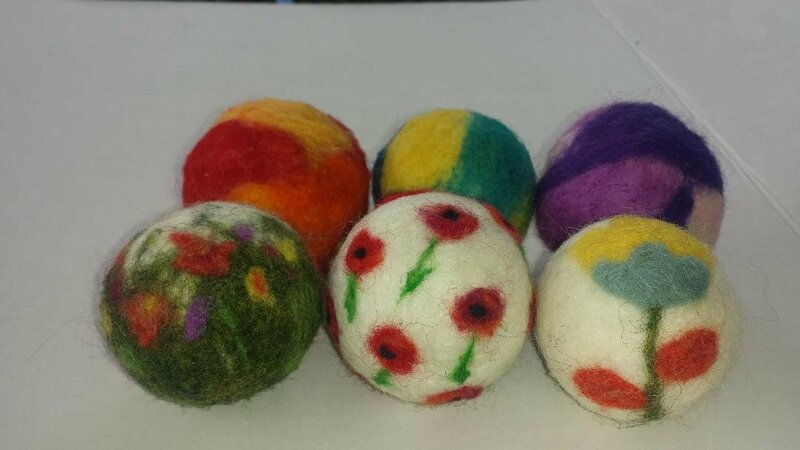 Why use wool felt dryer balls? Saves you Money – no more fabric softener or dryer sheets! Chemical free – healthier for your family and the planet! Felting pad, felting needles, a multi-needle tool. 100% wool yarn and roving, pantyhose socks.